Bilbao is an industrial and port city, which is situated in the North part of Spain. The city is the center of shipping, manufacturing and commercial commerce. There are several of factories and offices which supplied welfare during the Industrial Revolution. First of all, Bilbao started to industrial development after the civil war in 1940’s. The city was rebuilt and started to develop by bridge construction. On the other hand, since the deindustrialization industrial areas are being moved to public spaces in town. Bilbao was losing its industry. The city was looking for to find a way to transform itself from a port hub of Spain’s industry into a vibrant city built on a services economy. Then city made a conscious decision to save the city from suffering by having Guggenheim Museum. It was the strategy to make the city revival. Economic stratification and social exclusion emerged. The transgressions of the new economic elite went beyond the normal complaints about gentrification, according to the authors; the shock of growth has had unfortunate side-effects for urban governance and democratic participation. The urban renewal started with cleaning the river which was full of industrial waste. After building opened its doors to visitants, Guggenheim Museum enjoy numerous of visitors per year. Finally, the plucked industrial city gets rid of obscurity. The port city transformed to a tourist magnet and economic explosion. It became one of the travel destinations of tourists’. It has changed the whole economy of the city. It was very well worth to the price. Because the decision was absolutely a risk of gamble for the city. But the risk is totally paid off with tourists in a cultural and economical way. In 3 years, the obtained revenue was enough to recoup the construction costs. Cultural activities are needed for making city better. It brings renewal and vigor to city life. Actually Guggenheim is more than one building or museum. It has changed the whole economy of the city. Visitors spend large amount of sums in the city on accommodation, shopping, transportation, eating and drinking and free-spare times. According to the financial columns, in its first three years the museum has helped to generate about $500 million in economic activity and about $100 million in new taxes. The opening of the museum brought so much money to Basque treasury in taxes. This represents lots of new jobs. Guggenheim shows that how mayor dynamism can help the city turn around. Bilbao city metamorphosed to a totally new energetic city. 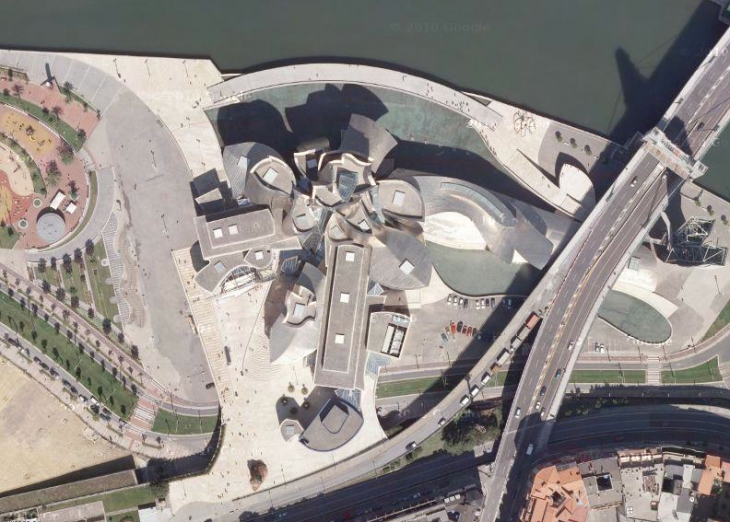 Bilbao Guggenheim Museum is known as a success of venture. And also it did more than making the city alive. It shifted the architecture and the tourism in a different way. With the popular and critical success of the Guggenheim museum in Bilbao, by Frank Gehry, in which a rundown area of a city in economic decline brought in huge financial growth and prestige, the media started to talk about the so-called ‘Bilbao effect’; an architect designing a blue-chip, prestige building was thought to make all the difference in producing a landmark for the city. The Bilbao effect which is also known as Guggenheim effect pertains to the cause and effect relationship that occurred when a single world-class project became the catalyst for reviving this once gritty, economically distressed, post-industrial city. Bilbao Effect means more than the urge to travel. It can garner revenue from its own residents and from tourists. People are interested in cities do buildings with their space. Needless to say, other cities around the world took notice as Bilbao became the symbol of successful economic and cultural revival. That is why economics and architecture should be considered together. In environment, the buildings and the architecture are the reflection of a city and define the values of the society. The results of the building affect the economics of the surroundings. It is clear that the architecture and economics cannot be thought separately. They both provide together better impacts. The architects always have to think about the further of the construction of the building as what Gehry did. First thing to think about is implementing projects for urban landscape is crucial financial asset. Because of this, many countries can’t affect their urban environment in a good way. It is necessary to put assets to have outputs which equal worth to inputs. With having good decisions architects can visibly change the economy. In addition, architects cannot be sure how exactly they will be affecting economy with the architecture. They tend to look at economics through eyes of developers, because they sense that without them they can not accomplish anything. In any case, it is confirmed that economical situation is affecting kind of architecture being developed as well as urban strategies, and the other way around. But Frank Gehry really knew the result of the Guggenheim museum? Absolutely, not. But he considered all the inputs and outputs. He made a really good decision; he got all the risk to make the city better. Is that all about money? Did it really worth it? It is a museum, not only a building. The visitors come to Bilbao just to see the building itself; not for the art inside that building. However, in my opinion yes it really worthed it. Guggenheim Museum affected the location where it is situated and all surroundings. In additionally, it made the city vibrant and earned lot of money from its visitors and had a good impact on economics of the city. It saved the life of the suburb city. Bilbao effect worked in Guggenheim Bilbao museum because the city did not rest on its success. It was so sensitive to urban environment. On the other hand, it was not contented with the museum. Because only building does not change the city by itself, does not make the city better. After Guggenheim success, entire series of new architectural buildings have been added to the landscape. The city continued with university of Alvaro Siza, office building of Cesar Pelli, airport of Santiago Calatrava, master plan of Zaha Hadid, library of Rafeal Maneo , landscaping, some statues, numerous of spectacular bridges and green areas. Perhaps, that is why Bilbao continues to succeed a decade and a half later, where other cities have faltered. Throw in centuries of artistic and architectural legacy in Bilbao and it has a recipe for a long-term urban economic success story. It is obvious that The Guggenheim is an undenied success of 21st century. But I am still skeptical that the building’s appearance really needs to take place of the function? After Guggenheim, nowadays it is started to take the buildings which become a signature of the city with its architecture, as an example. Day by day, the buildings metamorphosed to ‘mega-structures’. The thought of constructing these buildings is ‘Mega structure goes, economic transformation follows.’ We can see lots of signature buildings all around the world as in Warsaw, Valencia, Lisbon, Lille, Göteburg, Glasgow etc. Just for having benefit, to provide revenue the shape should not be the priority. The building and the function should be considered at the same time, the architectural building also should be usable.